To celebrate entering their centenary year, Bentley have marked the occasion by unveiling the W.O. Bentley Mulsanne by Mulliner. Limited to just 100 cars, this car is the ultimate statement of luxury and rarity. Rybrook Bentley Bristol will be delighted to assist with your enquiry on this special model and look after you with the highest levels of customer service all the way through to vehicle delivery. Once more, Rybrook Bentley Bristol are able to maintain the car throughout your entire ownership with our dedicated aftersales team. Taking styling cues from the timeless design of the 8 Litre owned by W.O himself, the Mulliner designers have interpreted the car’s specification into a modern-day classic. This limited Mulsanne comes with 21" Radiance Wheels in Gloss Black, a stainless-steel strip adorns the bonnet and an exterior badge with W. O’s signature sits above the front vents. A choice of Bentley standard and exterior paint colours, including Mulliner paints, are available to choose from for the exterior. At the heart of the W.O. Edition is a piece of Bentley history; a section of the crankshaft of W. O’s personal 8 Litre. The crankshaft was replaced some twenty years ago and kept safe for a special occasion, and the centenary is just that. It has been carefully divided into 100 pieces and is meticulously set into the tray of the drinks cabinet between the rear seats. It is surrounded by a piece of marquetry especially designed for the Limited Edition and inspired by the Art Deco of the 1930's. 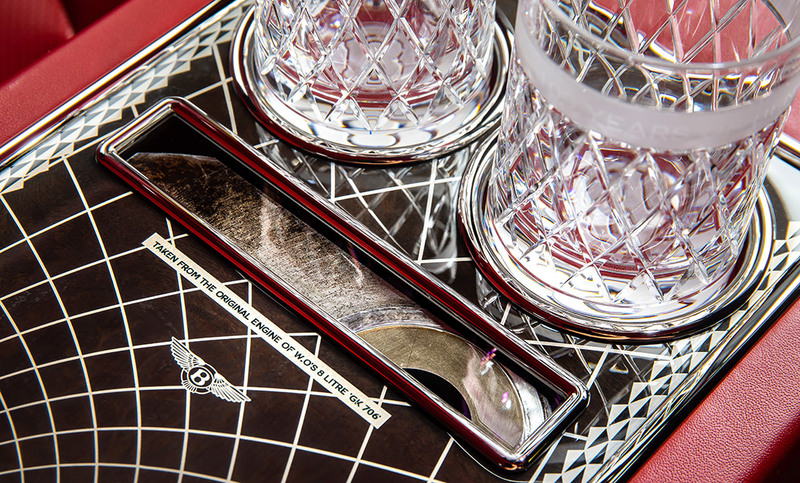 A piece of history is encapsulated in this Mulsanne, making it extra special. For the first time, Mulliner has introduced Heritage Hide, a glossier leather that is representative of leather used in cars in the 1930's. Four Heritage Hide interior colours are available to choose from: Beluga, Camel, Fireglow and Newmarket Tan, enabling you to match this car to your taste. W.O's signature can be found subtly embroidered into the backs of the front and rear seats and as an overlay on the passenger fascia panel. 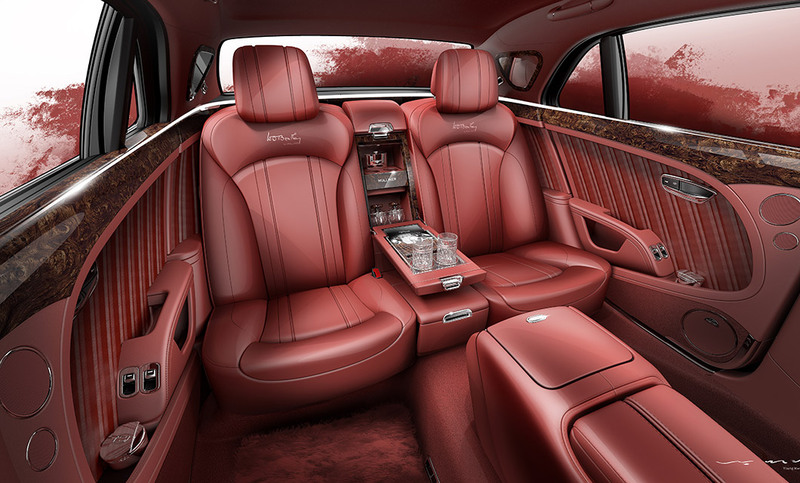 In the rear, select from a Mulliner Illuminated Cocktail Cabinet, Refrigerated Champagne Cooler or Mulliner Non-Alcoholic Refrigerated Drinks Cooler. Interested in a Limited Edition W.O. 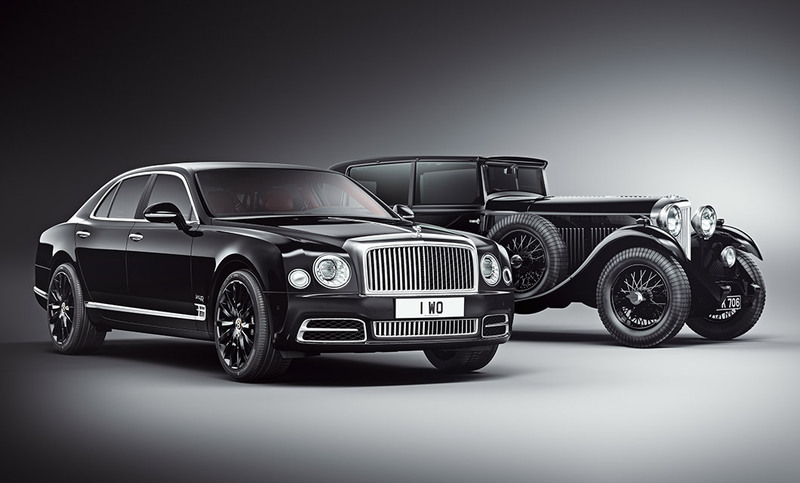 Bentley Mulsanne by Mulliner?